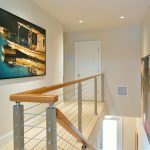 Using cable railing in interior applications can help give your home an open, contemporary feel. 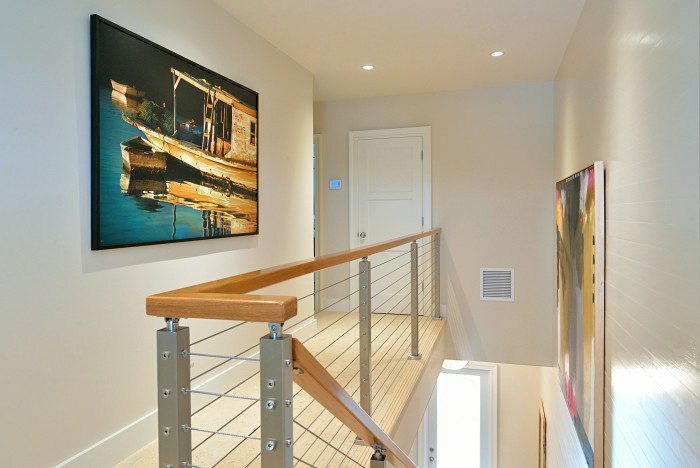 Against these off-white walls, the stainless steel cable railing shines. Using a wood handrail with your steel posts can help tie your whole home together. 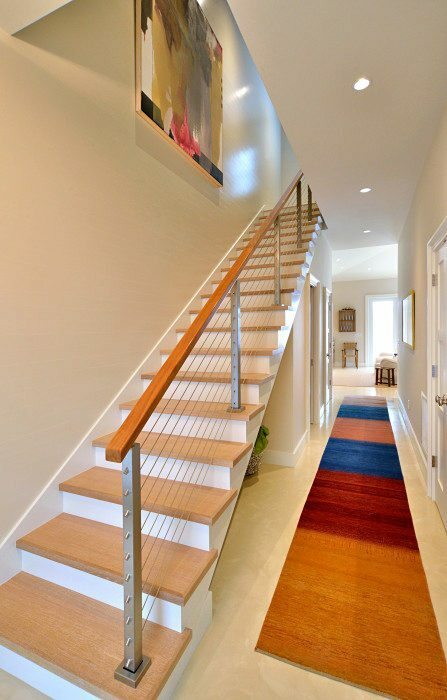 In this photo, the modern, mission-style handrail accents the metal posts while complimenting the wood stair treads. Every cable railing design is different, but they all offer the same simple elegance. To get started on a quote for your cable railing project, fill out this quick contact form and we’ll make sure that one of our team members reaches out to you within 24 hours.